Ubicomp 2014 is colocated with ISWC 2014. The list of works below are accepted entries to the ISWC design exhibition. 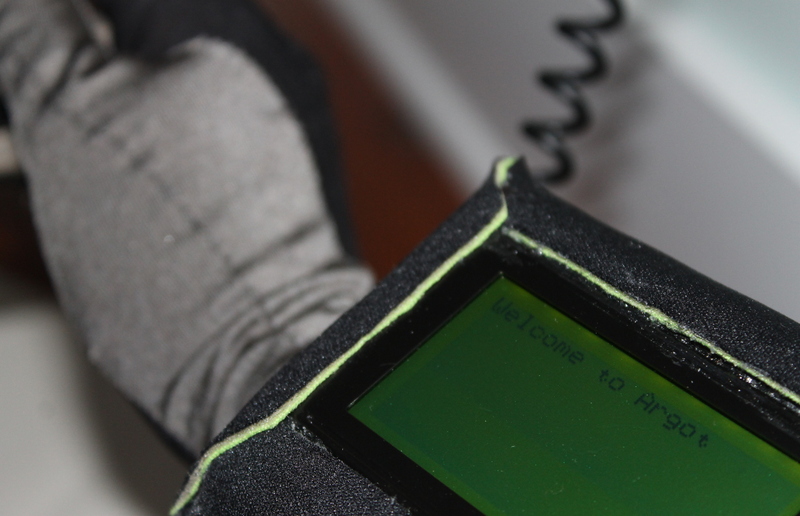 The Argot glove is a one-handed, wearable input device that allows a user to type all English letters, numbers, and symbols without use of a traditional keyboard. 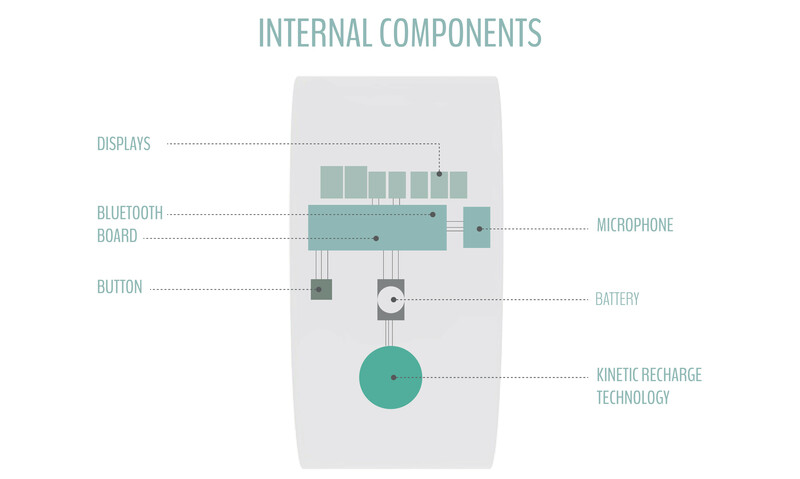 The device design considers variables and constraints such as dexterity, feedback, mobility, learnability, speed of input, errors and false inputs, permanence, and comfort, as well as previous user knowledge. 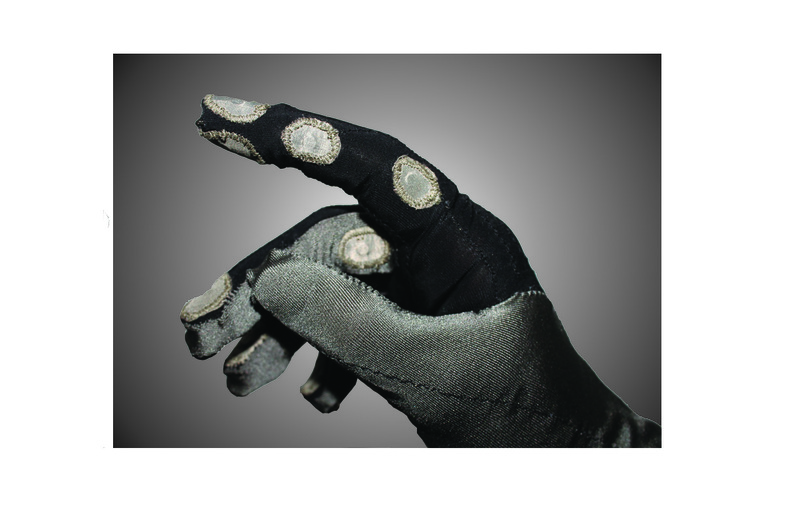 The glove design was informed by experimental investigations aimed at balancing tradeoffs between physical variables (reach, dexterity, haptics) and cognitive variables (learnability, text-entry method). It uses weak magnetic interactions during â€œkeyâ€ presses to provide passive haptic feedback and reduce the need for precision in proprioceptive hand positioning. The idea behind this design is to create a design with which it is possible to change the perception that the individual has with music, changing therefore their relationship with it. The result is a product of the category design for all, to be used by both deaf and able-bodied individuals without difference. 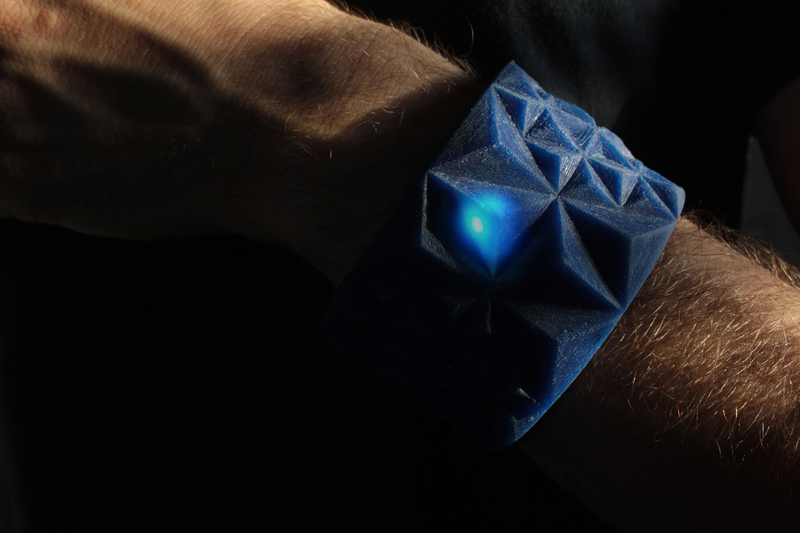 MUVIB is composed of two mutually connected bracelets that allow music to transform into vibration. To the able bodied, the interaction with the sound, and in our particular case with a particular type of sound, music as can be of various nature. For the deaf the concept changes, while this diverse ability does not allow them to enjoy all the physical and mental benefits that music put in place. For all these reasons we decided to work on this issue, thinking of a device that could flatten this difference in perception, placing both targets on a level field. 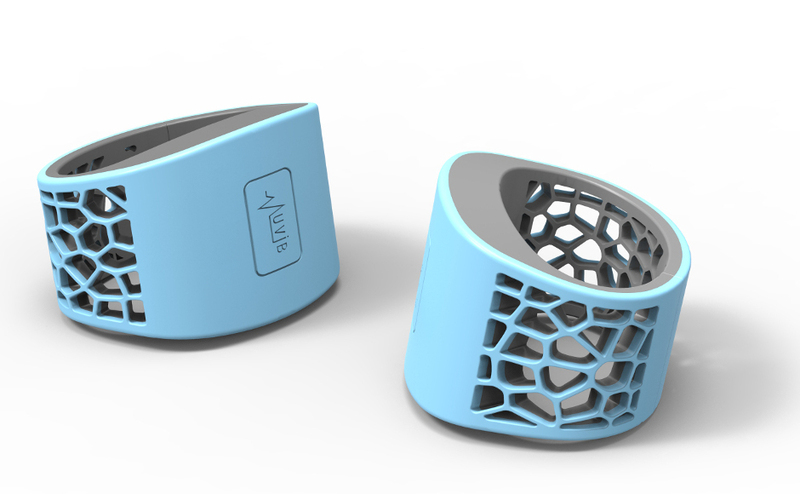 Thanks to MUVIB the hearing and the deaf will be able to benefit from the effects that these two vibrators bracelets bring the entire body, creating different situations where come into play factors such as pleasure, relaxation and adrenaline. 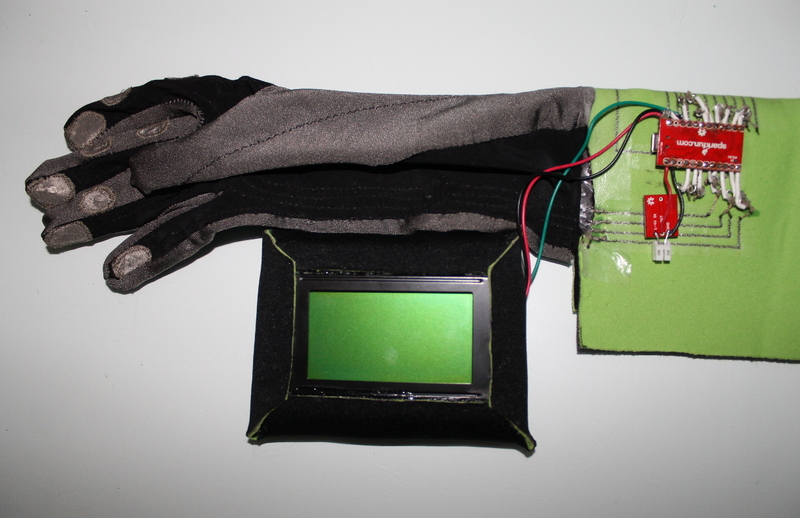 This paper describes the analysis and design of a wearable technology garment intended to aid with the instruction of ballet technique to adult beginners. A phenomenological framework is developed, and used to assess physiological training tools. 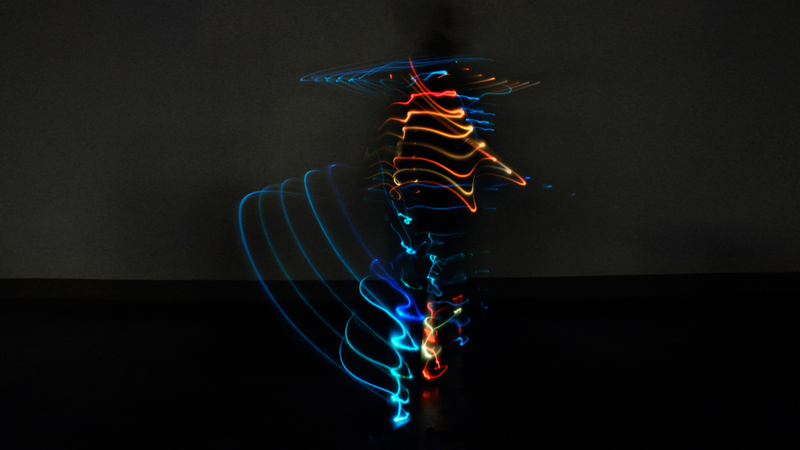 Following this, a garment is developed that incorporates visual feedback inspired by animation techniques that more directly convey the essential movements of ballet. The garment design is presented, and a discussion is provided on the challenges in constructing an e-textile garment using contemporary materials and techniques. 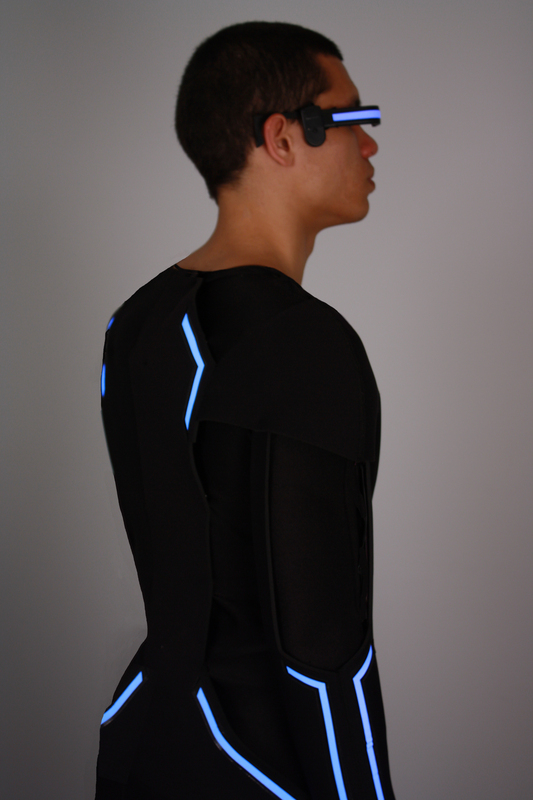 Naero is a practical wearable object that helps managing the physical exercise in a more efficient way. 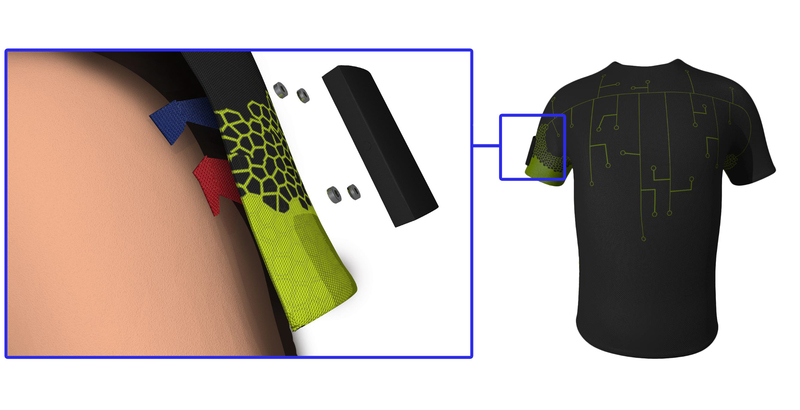 It is composed of two parts: a t-shirt made in a smart fabric that transforms the lactate present in sweat into energy and an electric circuit with an accelerometer and a Light Emitting Diode (LED) that works as interface. The purpose of Naero is to warn about the passage to the anaerobic respiration, and help the person who's doing the physical activity to prevent muscle pain and tiredness. 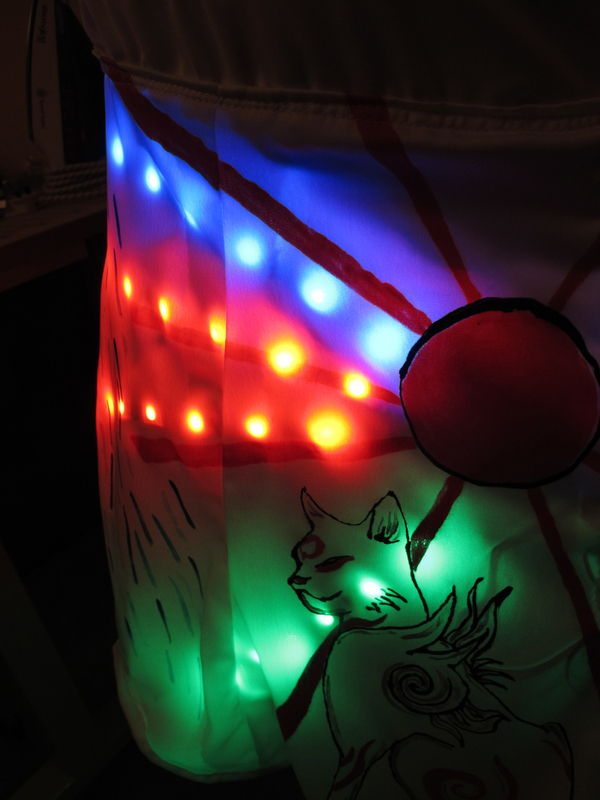 When the LED is on it means that the fabric is starting to produce energy from the sweat, and the comparison with the data of the accelerometer gives important information about the performance of the user. 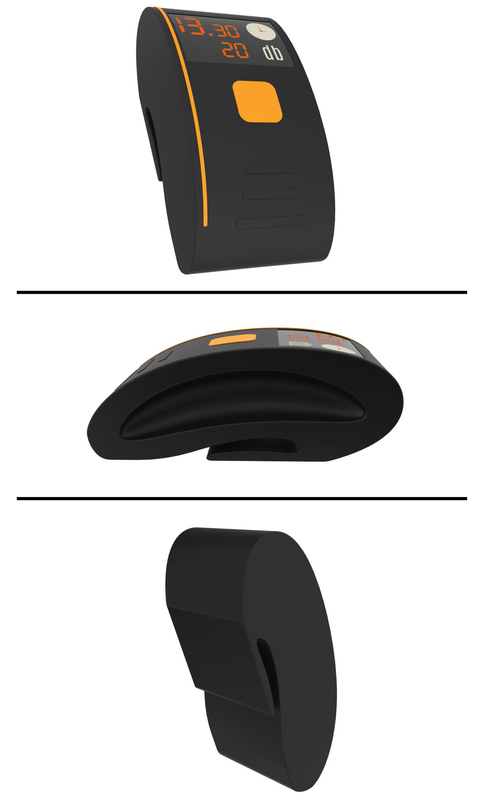 This smart object can help a varied target, from professional athletes to aged persons or people doing sphysical rehabilitation. The presence of lactate in sweat is an important indicator and today athletes measure its value with an invasive medical test. With Naero this information can be checkedby the user himself, in a pleasant and simple way. 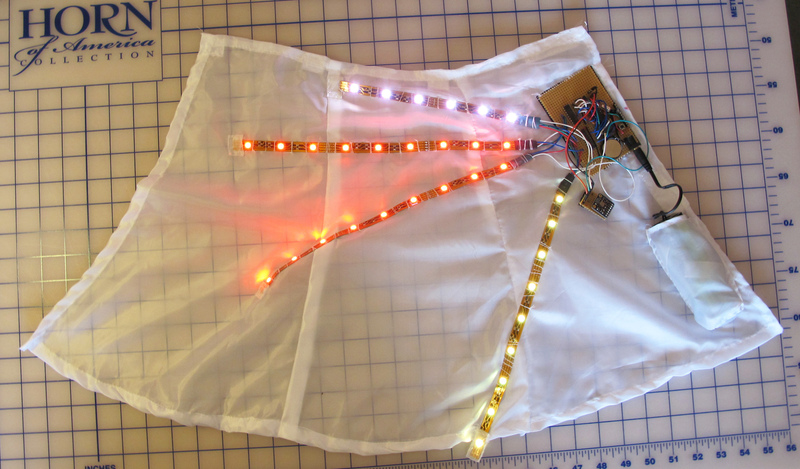 The Baroesque Barometric Skirt visualises data from the wearer's environment alongside physiological data of the wearer. The skirt changes visually as the wearer moves around environments and also as the body reacts to its present situation. 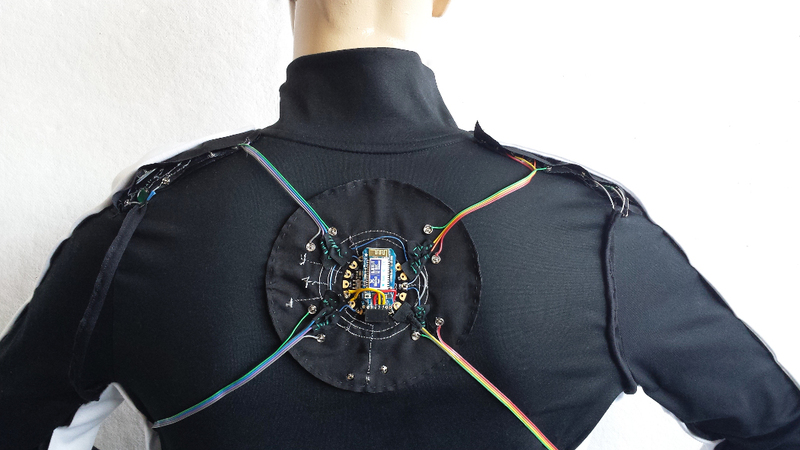 This garment-device starts a conversation around the connections between the environmental and physiological data of the wearer. 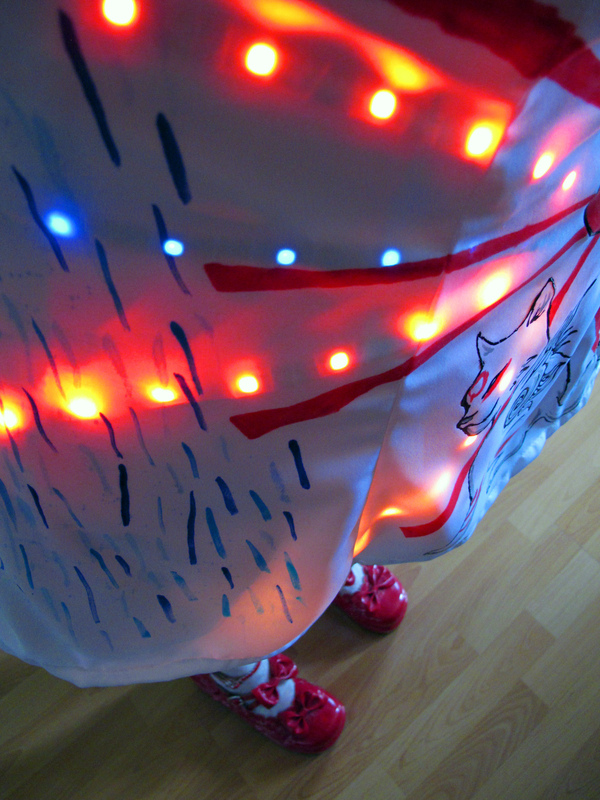 This short paper charts the evolution of the Baroesque Barometric Skirt from purpose to design, to making the skirt and constructing the electronics and code that become integral to it. 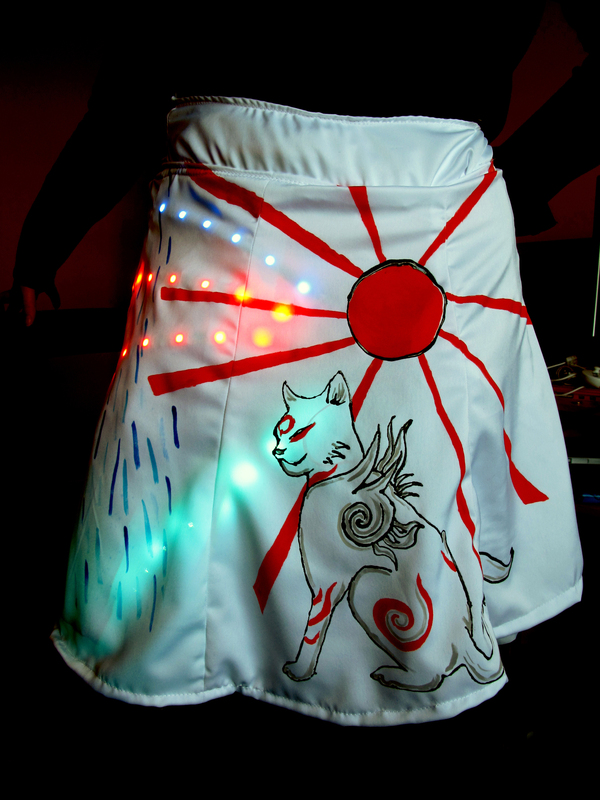 The Baroesque Barometric skirt contributes a new way of sensing and presenting environmental and physiological data together. Haley is a digital clock with acoustic function. It notices sounds and transmits information to an app. 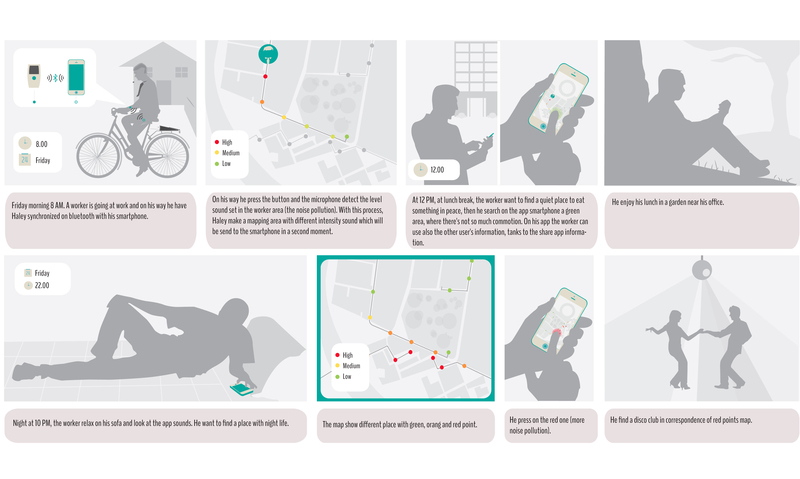 The app creates a mapping area with different classes of sound level in different places, to have a complete panning shot of the noise in your life location. 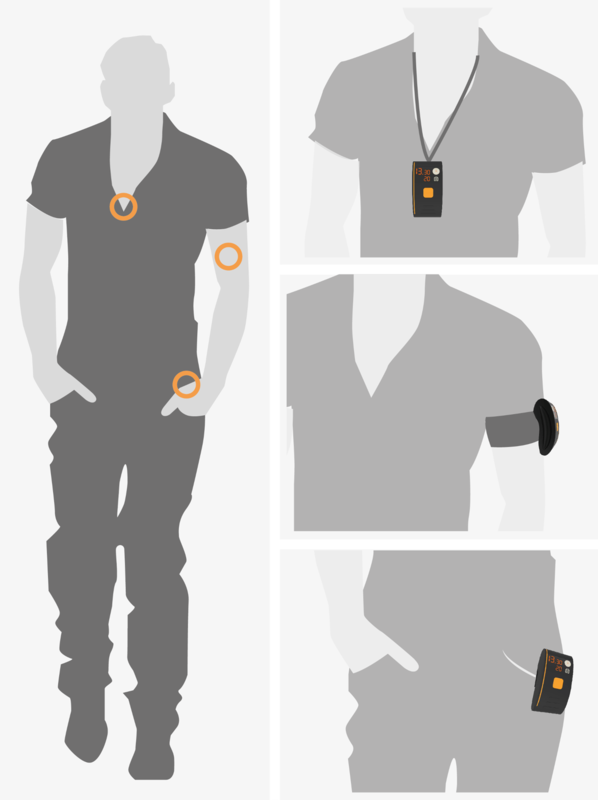 You can use it like a simple mark time to take with you, on your jeans pocket or on your bag like an accessory, and when you press a button it can quantify the dB (decibell) around you. 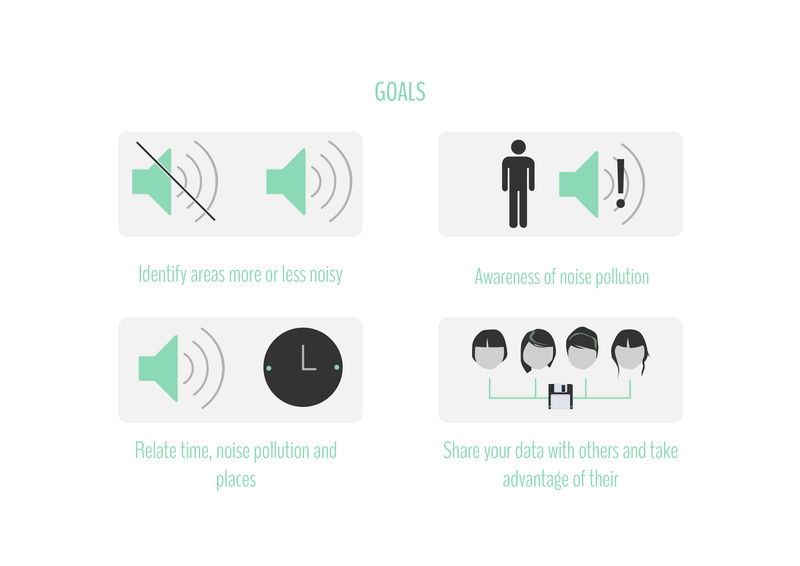 With this object you can control the noise pollution in your surrounding space and choose the places on the basis of your necessity. Today our life is dominated by technology. It happens often that we trust our devices too much and when they run down we are completely floored. In this case we just desire a bit of extra energy to solve our troubles. 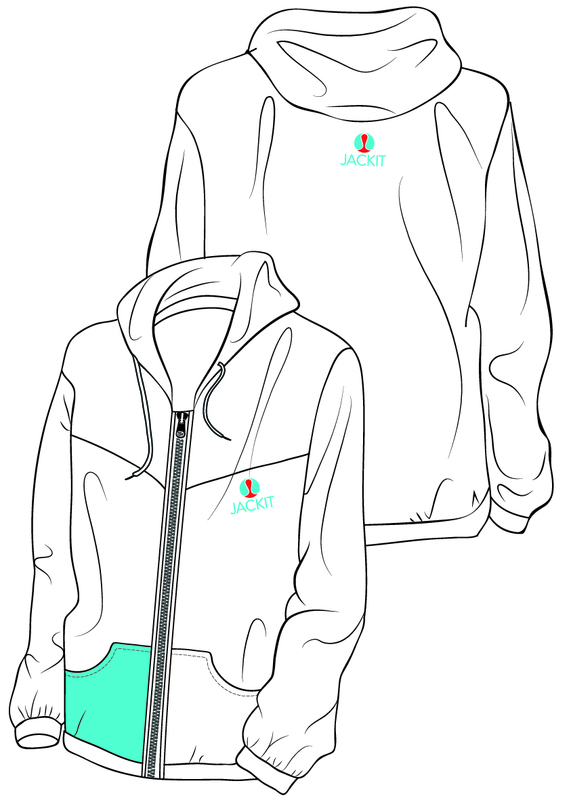 Jackit is a jacket made of a new textile combination of knitted copper and constantan and a textile fiber that can change depending on the use of the jacket. 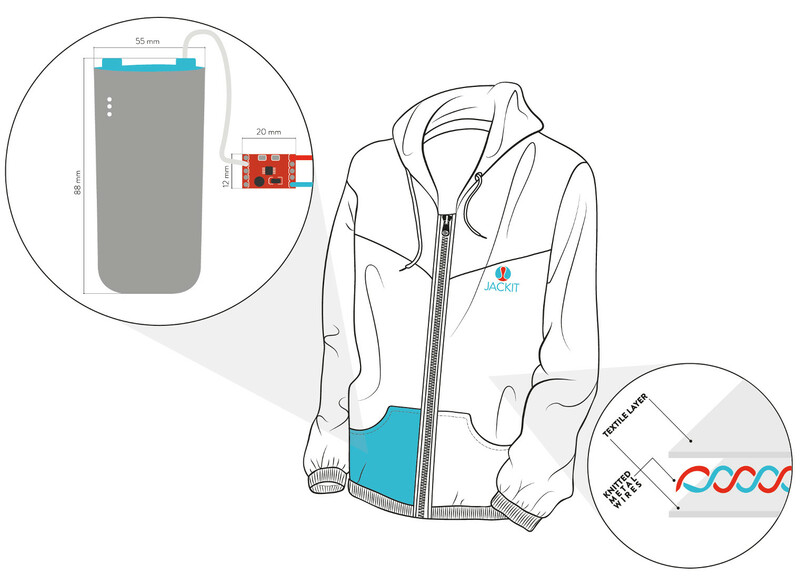 This textile uses the Seebeck effect to produce energy and recharges a power bank connected inside the jacket. The Seebeck effect uses the different temperature between the one of the human body and the external temperature to produce energy. 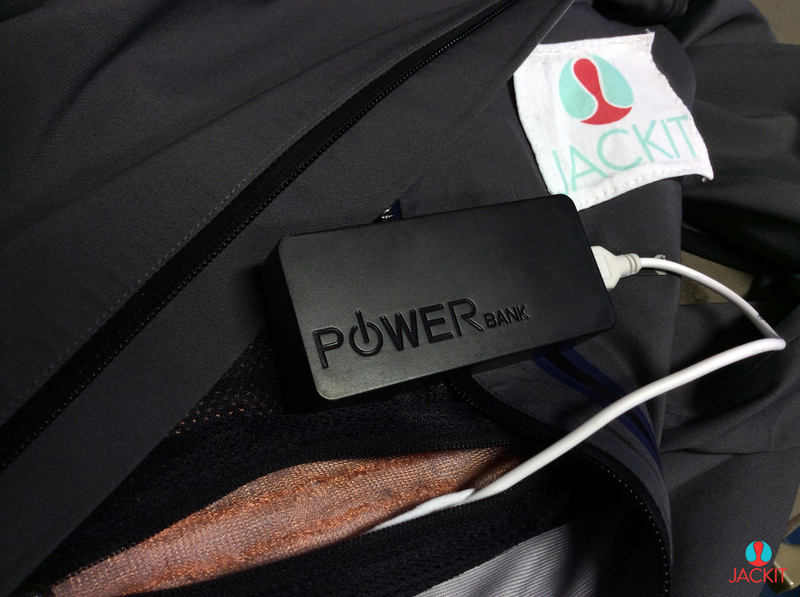 The energy of the power bank can then be used to charge various electric devices. The amount of energy obtained depends on the outside air temperature. Taking stress out of people's lives is a great step to a better life in the future. To create a healthier lifestyle it is important to prevent stress related illnesses. The goal of this project is to make people aware of their state of mind and conscious of how they feel. 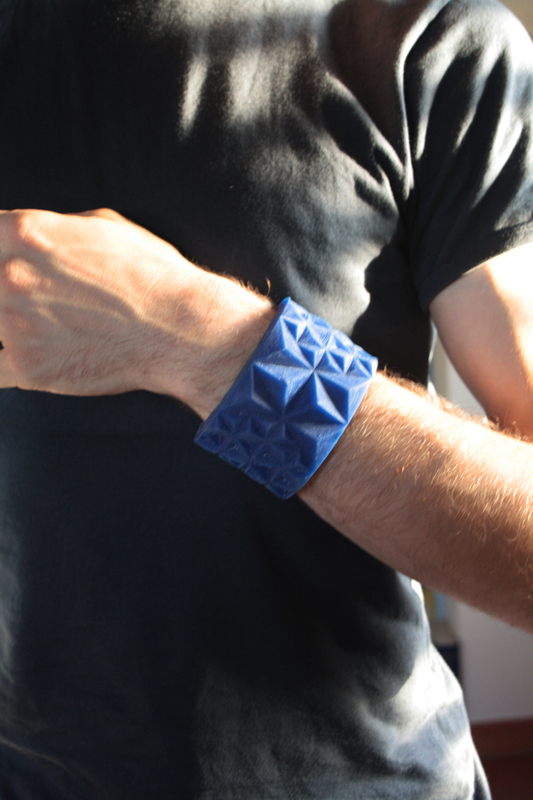 Twiny is an elastic bracelet that gathers physical parameters through sensors: connecting emotions to physical state, Twiny gives the possibility to learn how to control mood, organizing time and trying to make people feel comfortable. Matching feelings data with calendar and health state, Twiny is able to build a grid of feelings, suggesting how to react to a bad mood or, for instance a constant migraine. Twiny attempts to correlate data down to every physical rash caused from stress to the body. Making people aware of their unconscious feelings will help them build a better lifestyle. Twiny, which wirelessly sends data to an application, allows users to control their own parameters every time they need. The E-Textile Swatch Exchange is a platform for sharing physical work samples in the field of electronic textiles. The exchange wishes to emphasize the importance of physicality and quality workmanship in an increasingly digital world. Individuals and collaborative efforts participate in the exchange by submitting a unique swatch design of their own, and in turn receive a compiled collection of everybody else's swatches. This means that everybody participating needs to make as many multiples of their swatch as the total number of participants. 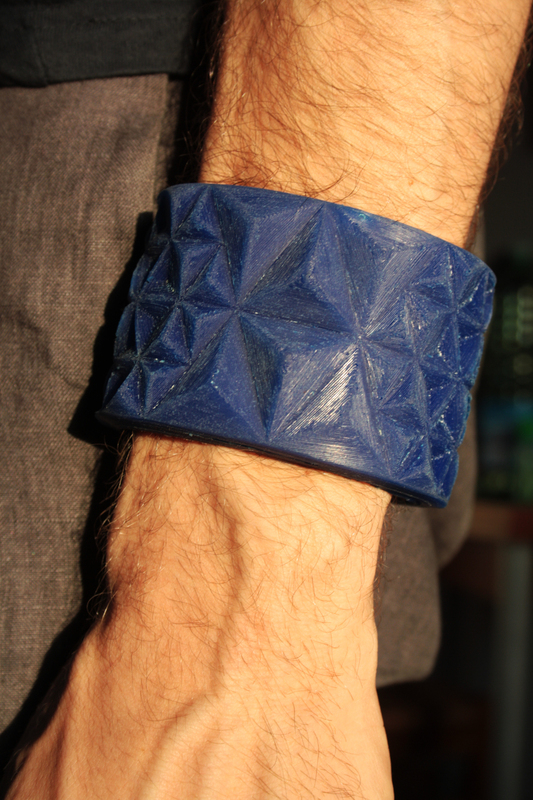 There are no guidelines defining what the swatches could or should be, only that they relate to the field of E-Textiles. S.A.R.A. – (synesthetic augmented reality application) is an App exploring the potential of using a mobile device as a unique and wearable musical interface. Special education and treatment methods in the early ages are the keys to relieving Autism Spectrum Disorder (ASD) symptoms. These smart clothing items ‘TellMe' are designed to treat ASD symptoms in boys by encouraging them to speak out and express themselves while playing with and enjoying the clothing. 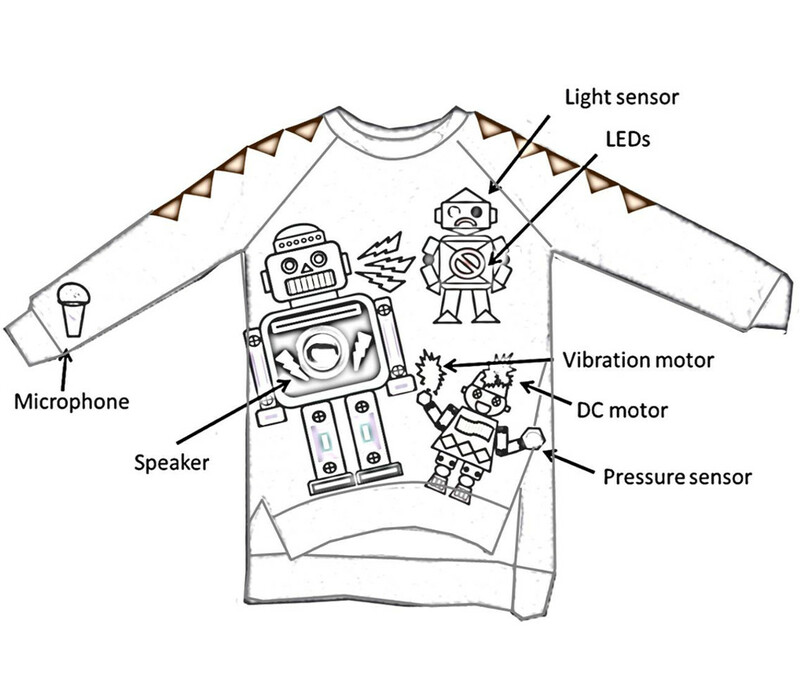 Therapeutic functions, including different types of sensors (a flexible film-like pressure sensor, a light sensor, and a motion sensor) and actuators (LEDs, a DC motor, and a vibration motor), are incorporated to the clothing. 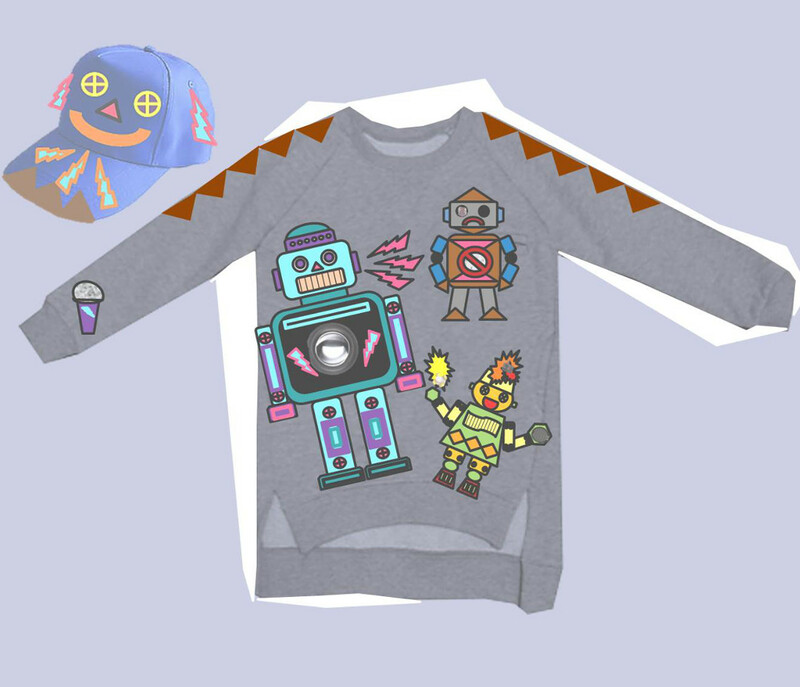 By playing with the interactive robot characters on the clothing, such as speaking into the microphone or activating the sensors and other actuators, a child wearing the garment can naturally learn and practice how to express his feelings, emotions, and opinions. 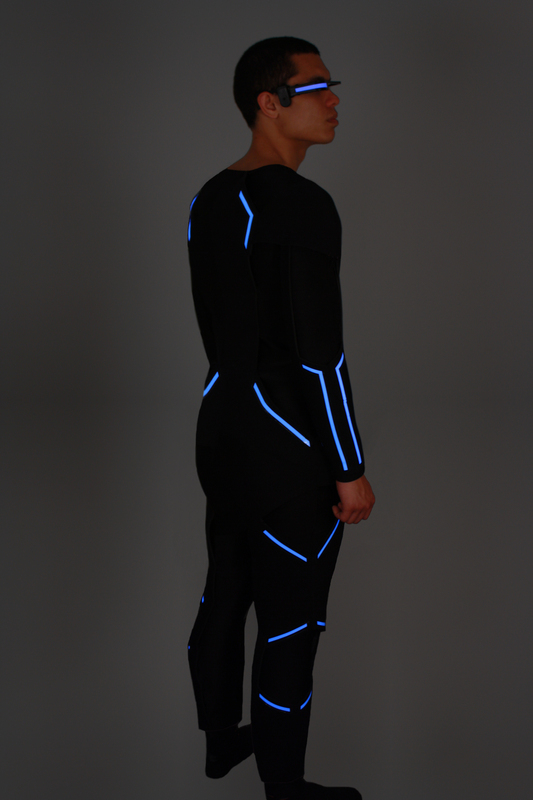 The future of innovation in clothing lies within wearable technologies, advanced design development processes and advanced construction techniques. 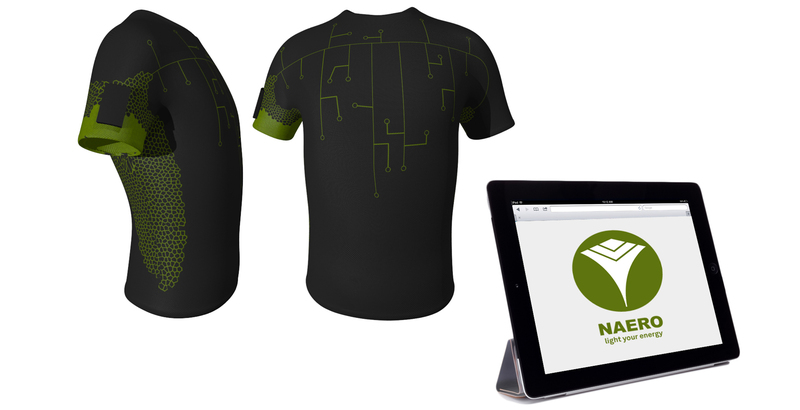 The integration of functional apparel design and engineering has attracted a lot of attention in the last decade. 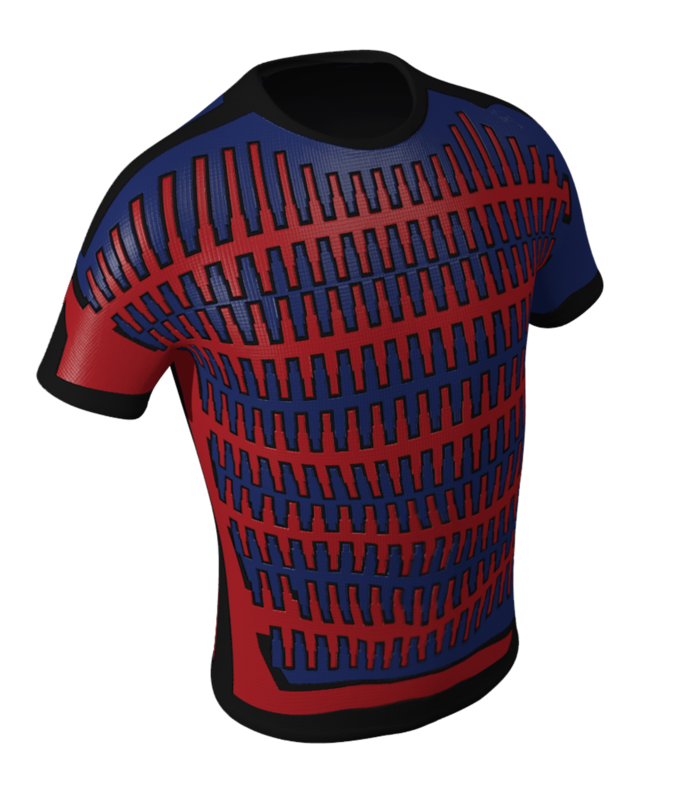 The objective of our work is to explore new avenues that connect design and technology, and to improve upon traditional techniques in apparel product development and construction. 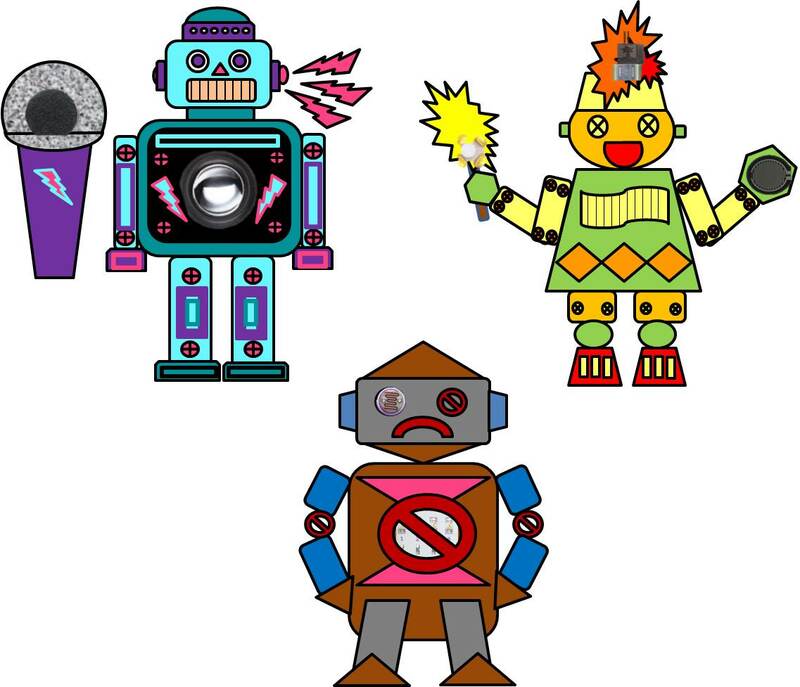 We will discuss the techniques used in our research project to explore fast prototyping techniques including laser cutting, 3D body scanning, draping on a half scale mannequin, 3D printing, and the inclusion of wearable electronics. 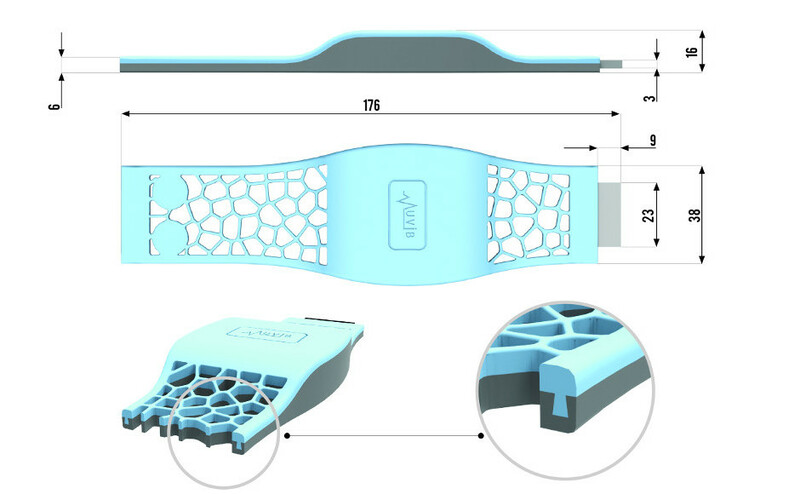 The use of these fast prototyping techniques can reduce the cost in production and simplify the development process. Designing with properties such as colour-change and light using electronics and digital control brings new challenges within art and design, and a range of new possibilities for aesthetics, tactility and functionality. Heimtextil 2014 (accessed April 2014)  promotes emerging materials and technologies as one of four trends which highlight the increasing demand for unique products utilizing novel material properties and digital making. 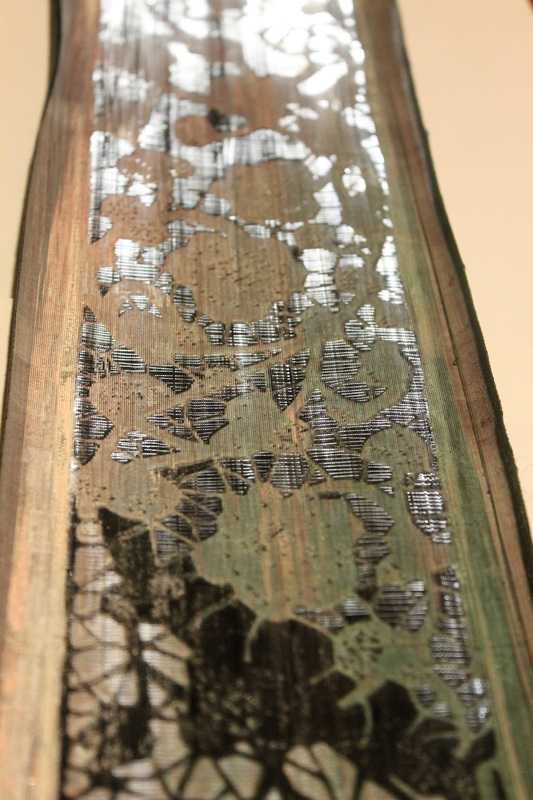 However, there is still limited insight into the creative potential of these materials that are fundamental to the exploitation of ‘smart' material properties, the development of new ‘responsive' surfaces and digital tools that facilitate designing with colour-change and light-emitting properties specific to textiles. 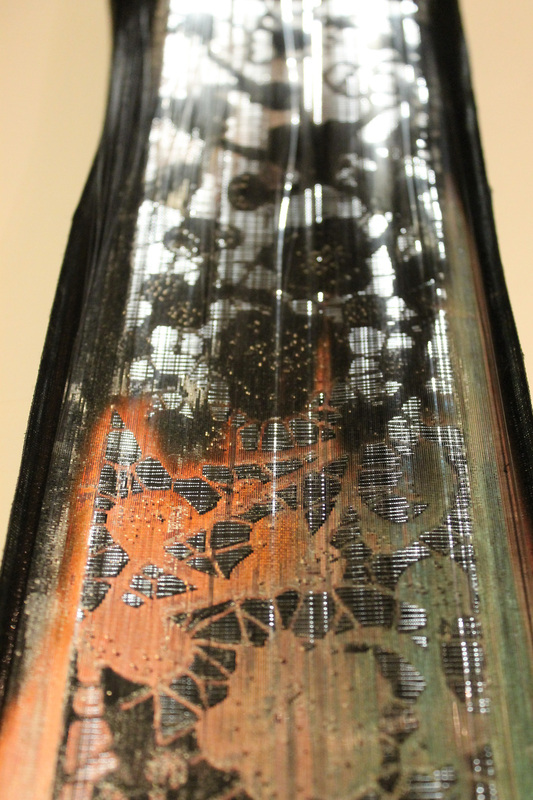 This submission to the Fiber arts category presents new material concepts as Digital Lace: a novel, multifaceted textile which will be presented as an interactive table runner for a digitally manufactured console table. Digital Lace explicitly pools together the digital-craft skills base and disparate expertise of printed textile practitioner and thermochromic specialist, (name) and constructed textile practitioner and light-emitting optical fibre specialist, (name). 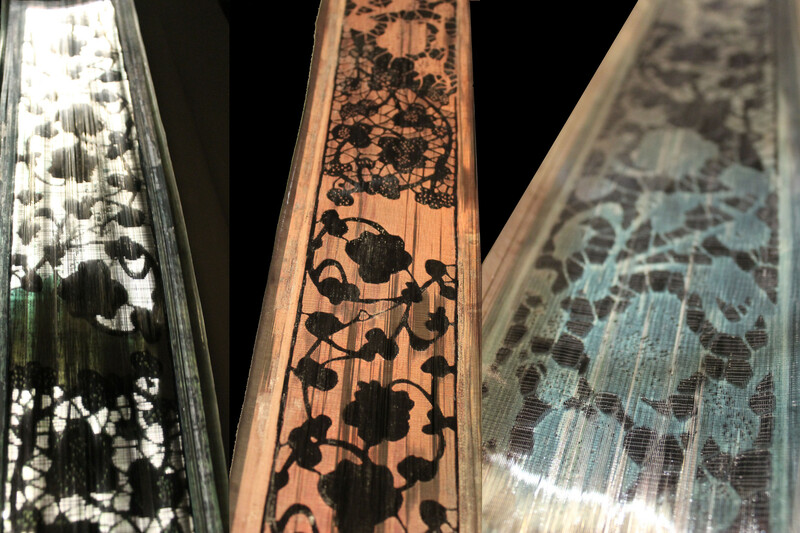 Within the context of ‘smart', material development and experimentation, Digital lace exploits and amalgamates the responsive technologies of dye and fibre with digital-control. Oiko-nomic Threads is a collective art project for an algorithmically controlled knitting machine and open data. The installation represents a system commenting on the notion of work through the production of a textile in real-time. By means of rethinking, modifying and redening the functionality of an obsolete knitting machine and employing nancial data from the databases of the Greek National Manpower Employment Oces as well as selected patterns inspired by Greek folk art, a textile is generated algorithmically. 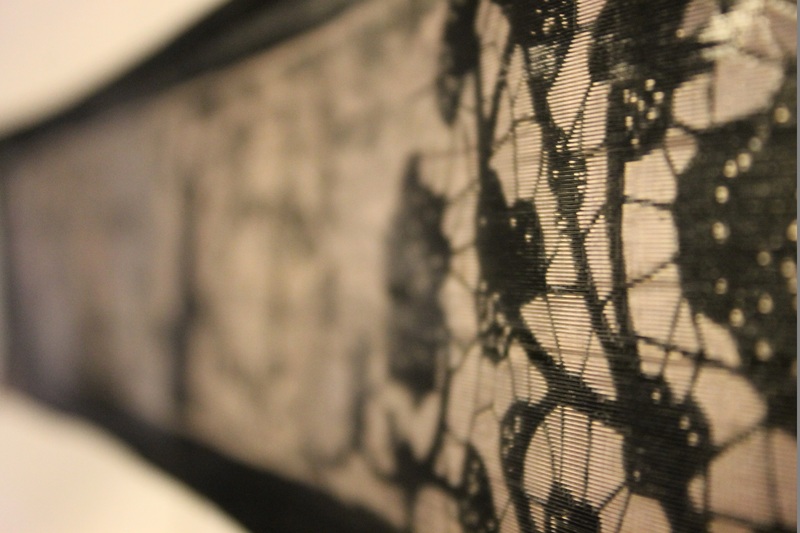 This way, the woven textile is to be understood as both a document of its own making as well as a dynamic base of archival resources which presents a computer-generated interpretation of the original nancial data. Indoor air pollution can provoke temporary uneasiness, headhache, sometimes sore throats or burning eyes and noses, but in the long term it can cause serious health problems both for young people, for the elderly and for those with existing diseases. It's easy to understand that knowing the quality of the air we are breathing is valuable. But most of all, having an easy readable object that shows you if you are in an unhealthy situation can simplify the task. A textile flower that opens and closes if the air quality is good or not could be a pleasurable object to wear and a indicator of the air quality.